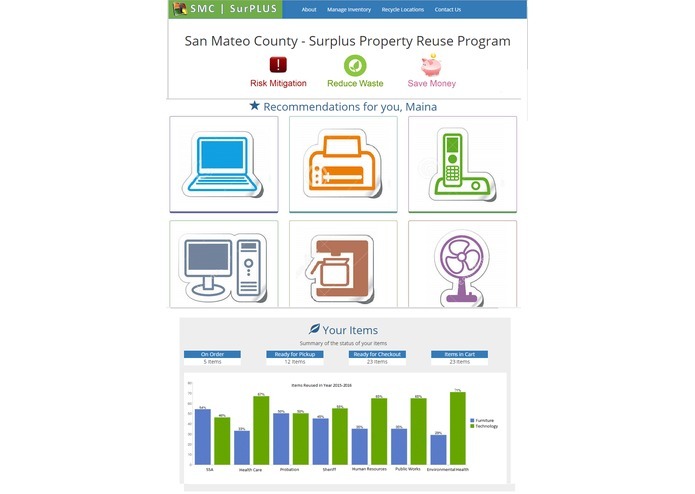 County purchases items for Office/Work like Computers, Laptops, Phones, Printers, Chairs, Tables etc. After 4 to 5 years these items are replaced and the old items are moved to the warehouse where they are either scrapped or auctioned off. Wouldn't it be better if County Employees and Non-Profit organizations can reuse these items and recycle them later on at the nearest recycling locations.. 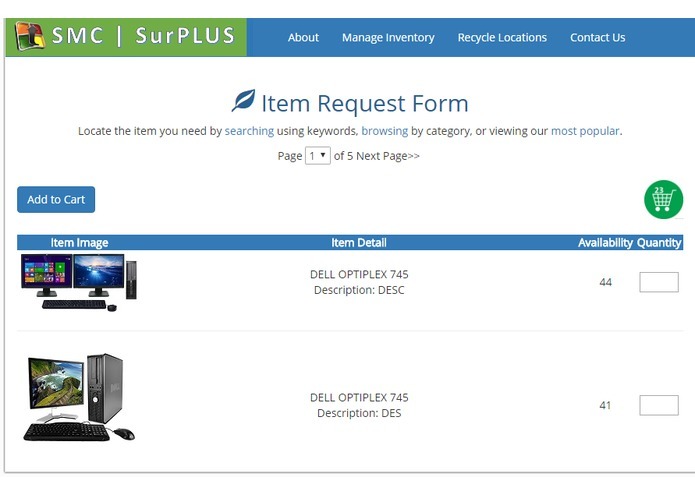 Allows County Employees and Non-Profit organizations to search and order items online. It was challenging to build an end to end solution quickly. Also as no data set was available to get the recycling locations we had to write special code to screen scrape recycleworks.org to get the recycling locations and add it to ESRI Map. It was also challenging to create the shortest route on the map to reach the recycling locations. We are happy that we were able to build the site quickly and had it fully functional within a day. 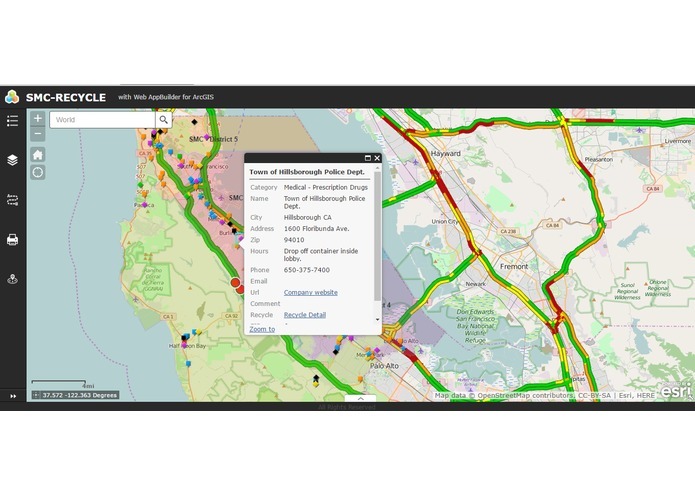 We want it to be used at San Mateo County. I am a developer on this project. I am the Designer on this project. The system is now complete. 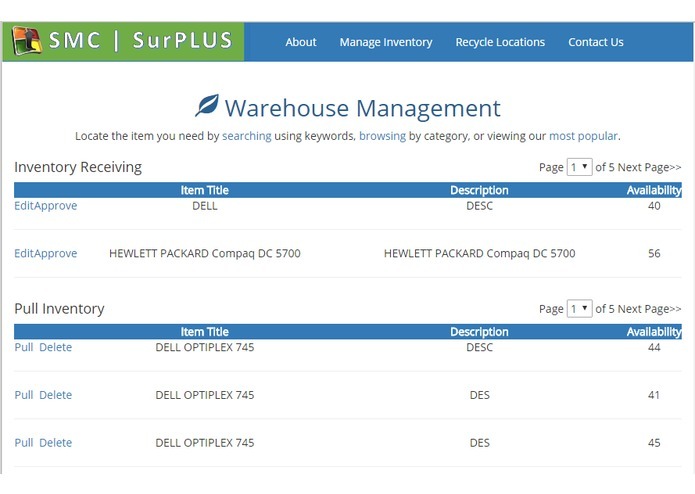 It manages the surplus items and includes an eCommerce front end allowing users to order items. County Employees can also submit items by taking pictures. This app generate a NEW dataset of recycling locations by screen scraping Recycleworks.org which is posted on ESRI and can also be posted at SMC Open Data.